Original movie posters remain one of the most vibrant sections of the entire vintage poster world. 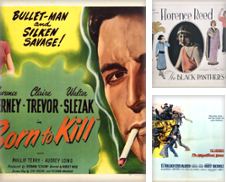 This selection shows 20 posters - from a lost 1919 train wreck film to a Clint Eastwood police thriller from 1971 - that are priced in excess of $1,000 due to a variety of factors, including age, scarcity, condition, and cultural and artistic significance. Some of these films are known to all movie-goers, while others are fading into obscurity. All the posters are special - do you have one? "A beautiful woman by day - a lusting wasp queen by night." A tagline with a sting. One of Roger Corman's most famous early films. It's the unforgettable story of a female cosmetics tycoon who cannot accept that she's aging and develops a wasp enzyme to keep her young forever. You can guess the rest. One of the great teen horror movies, The Wasp Woman was filmed in days on a tiny budget in black and white. 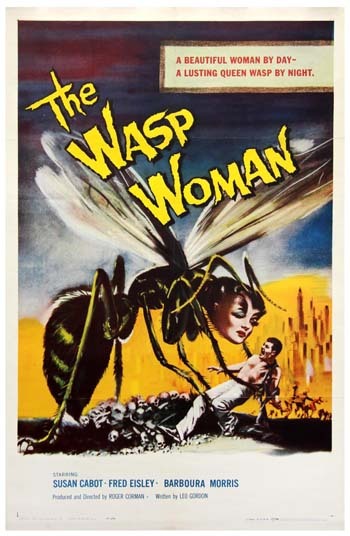 The poster is inaccurate as, in the film, the Wasp Woman has the head and hands of a wasp but the body of a woman. $2,650. 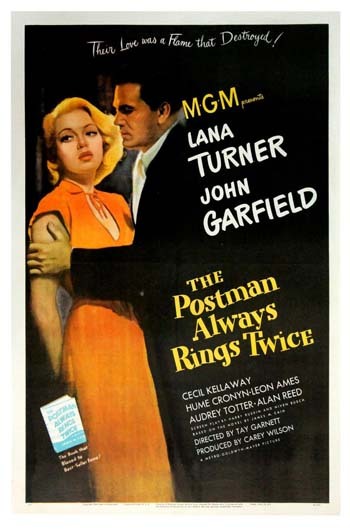 Directed by Alfred Hitchcock, this Paramount poster is one of the best from the 1950s. 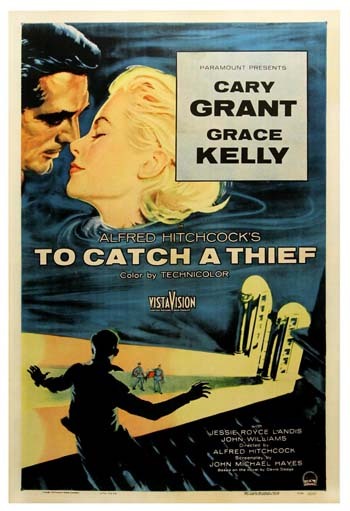 Cary Grant and Grace Kelly starred in this romantic thriller. It was filmed in Monaco where Kelly would soon become a real princess. Grant had to be lured out of retirement and the film was a major success, spurring Grant to keep on making films. 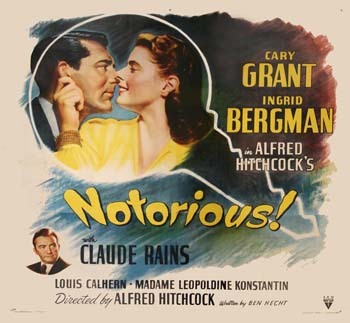 The movie was based on the 1952 novel of the same name by David Dodge. $2,000. Everyone knows the Bates Motel. Alfred Hitchcock's film is remarkable in many ways but particularly notable for killing off the main protagonist, Janet Leigh's character, in the middle of the movie. 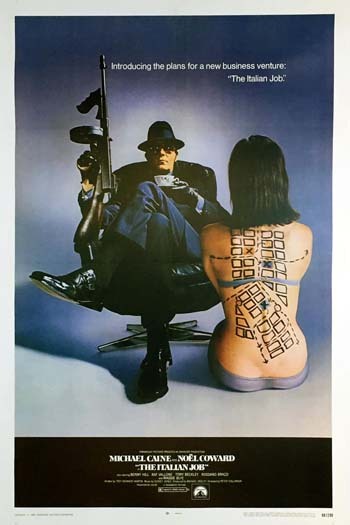 This particular poster carries a Canadian release sticker fixed to the back, denoting, "Bureau de Surveillance du Cinema." $1,500. Vivien Leigh and Ralph Richardson starred in this account of Leo Tolstoy's epic novel. 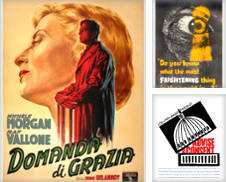 This poster promoted the Italian release and was designed by Ercole Brini. Leigh's looks and the dark undertones of Tolstoy's Russia are effortlessly communicated. The film was not a commercial success. $2,000. Sauve Englishman Ronald Colman was a huge Hollywood star in silent movies in the 1920s, and then with sound in the 1930s and 1940s. He won an Academy Award for best actor for A Double Life in 1947. In this film, Colman plays a displaced Russian prince who works as a taxi driver and then wins big at Monte Carlo. 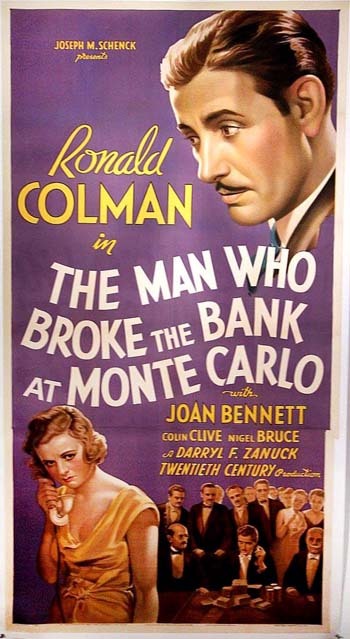 Joan Bennett costarred. Oddly, Colman is mentioned in Ralph Ellison's Invisible Man because of his much-admired voice. 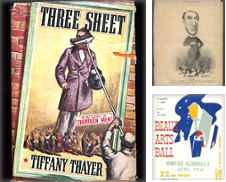 The phrase - The Man Who Broke the Bank at Monte Carlo - started as a British music hall song in the 19th century. $5,000. This movie poster marks James Cagney's transition from bad guy to hero. 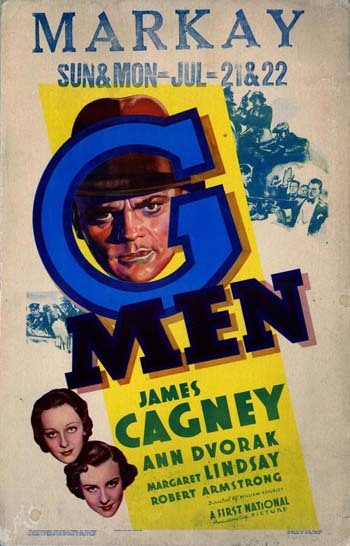 Hollywood had been criticized for glamourizing gangsters and this film sees Cagney's character join the FBI in order to track down a murderer. 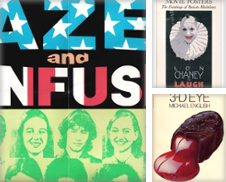 This poster carries the ink imprint for Markay Theatre in Jackson, Ohio, which still exists. $2,500. Yes, a Laurel and Hardy movie poster is collectible. This highly stylistic poster was designed by legendary American caricaturist Al Hirschfeld, which makes it worth thousands of dollars. Stan and Oliver star as two mousetrap salesmen who hope to strike it rich in Switzerland. At one point, they have to move a piano across a rope bridge and meet a gorilla halfway across. $7,500. "Women alone the victims of strange, savage killer." 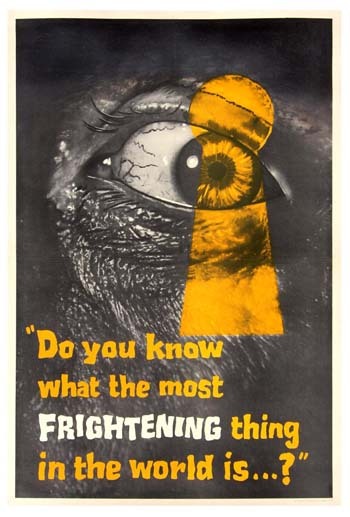 One of the finest horror movie posters from the 1940s. A nightclub performer brings a leopard into the club to spice up her act but the animal escapes. A series of deaths ensue, but is the leopard truly to blame? The same black leopard, called Dynamite, was used in another horror flick, Cat People. 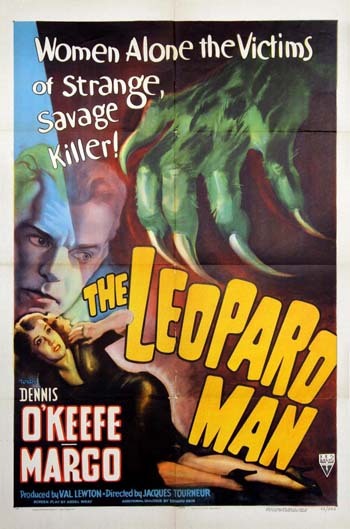 The Leopard Man was based on the book Black Alibi by Cornell Woolrich. $3,500. 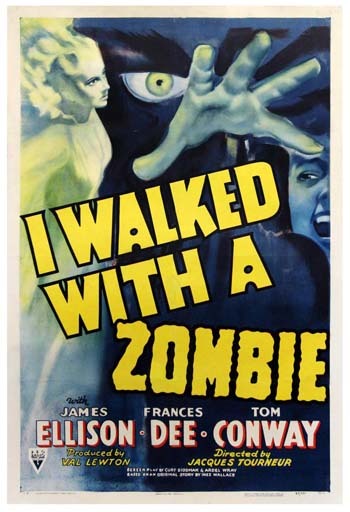 Yes, a zombie flick from the 1940s. Sort of. The story is based on Charlotte Bronte's Jane Eyre and depicts a nurse who goes to the West Indies to care for the wife of a plantation manager. She falls in love with the manager and seeks to cure the wife via voodoo. Fantastic graphics and typography on this 1943 poster. Scarce. $7,500. 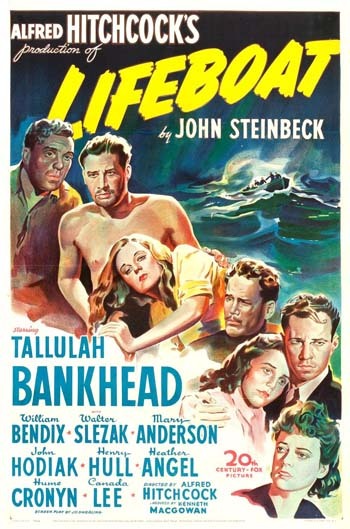 Alfred Hitchcock directed this movie but it's more notable for John Steinbeck's screenplay and Tallulah Bankhead's performance. A lifeboat carries eight survivors from a passenger ship sunk by a German U-boat in World War II. Tension builds as a journalist, a nurse, a pregnant mother, a steward, a radio operator, a sailor and an engineer struggle to survive. Steinbeck, Hitchcock and the film were nominated for Academy Awards. The movie is a famous example of a confined setting thriller where everything takes places in a very small area of space. $3,500. How can you go wrong with Cary Grant and Ingrid Bergman? 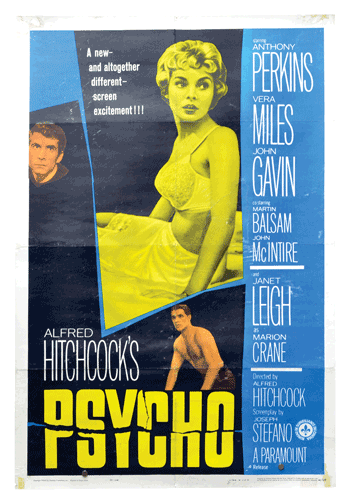 Posters of Hitchcock-directed films are always in demand and this one is very rare - hence the high price. In this movie, a woman has to ingratiate herself with a group of Nazis when she is hired to spy on them. Grant and Bergman are a charismatic pairing. Ben Hecht wrote the screenplay. $16,500. 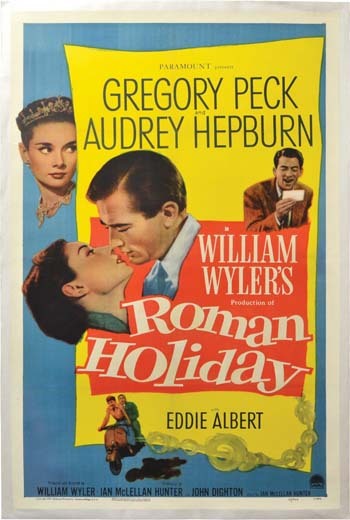 Another famous cinematic pairing - Gregory Peck and Audrey Hepburn starred in this romantic comedy set in Rome, and written by uncredited and blacklisted Dalton Trumbo. Hepburn won an Academy Award for best actress. $3,850. 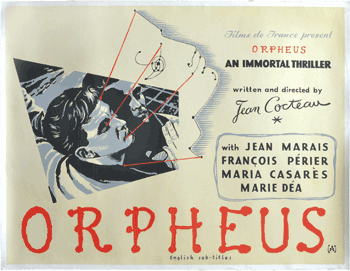 The British version of Jean Cocteau's French film, Orphee, where the surrealist director took on the myth of Orpheus entering the Underworld to rescue the dead Eurydice. Set in contemporary Paris and featuring a poet character in the main role, the film starred Jean Marais. $3,300. 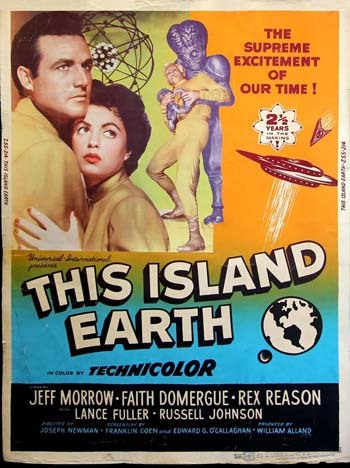 Long before Stars Wars and Blade Runner, science fiction movies were like This Island Earth where aliens come to our planet in flying saucers. It is based on the novel of the same name by Raymond F. Jones. The film was released on a double bill with Abbott and Costello Meet the Mummy. This is an extremely scarce poster for a film that's been both loved and parodied. $6,850. "Every man its prisoner, every woman its slave." A black and white Roger Corman movie about an alien from Venus who visits our planet with evil intentions. Scientist Lee Van Cleef, long before his Spaghetti Westerns, is enlisted to help the alien. Masterful artwork by Albert Kallis, who designed numerous other posters for horror and monster films. $1,250. This is the poster for the UK release of this controversial adaptation of Tennessee Williams' stage play of the same name. 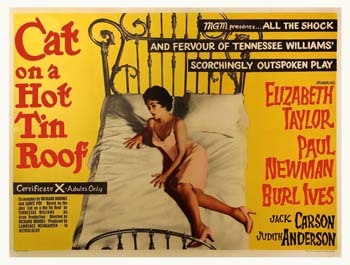 Twenty-six-year-old Elizabeth Taylor sizzles as Maggie the Cat. Paul Newman and Burl Ives also starred. The film received six Oscar nominations but didn't win any - probably because it was too racy for the late 1950s. 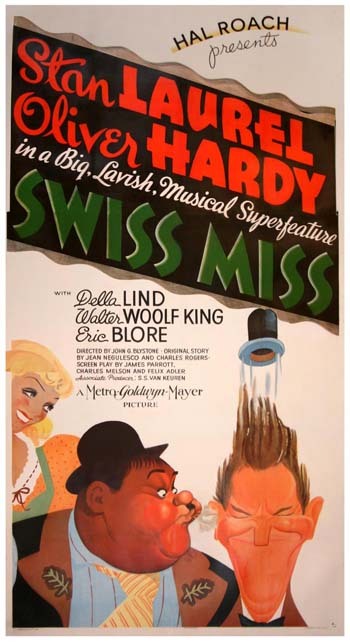 The film was X-rated in the UK. $1,400. "Thrills! Action! Punch! $1,000,000 railroad equipment used in this production." This silent movie is now lost. 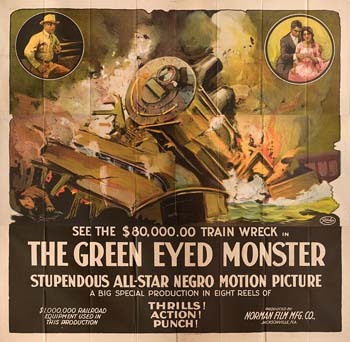 Made by Norman Pictures, The Green-Eyed Monster is an historic film because it features an all-black cast for a black audience. 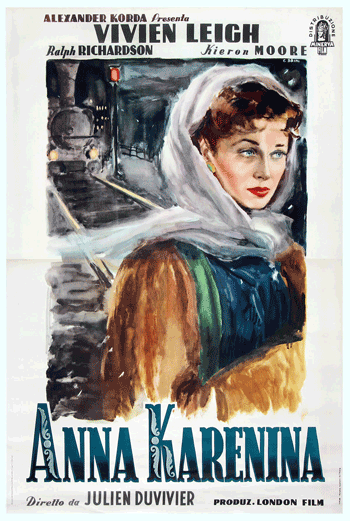 The plot features a love triangle amid two competing railroad companies. Lots of fisticuffs and almighty train crash. $3,000. 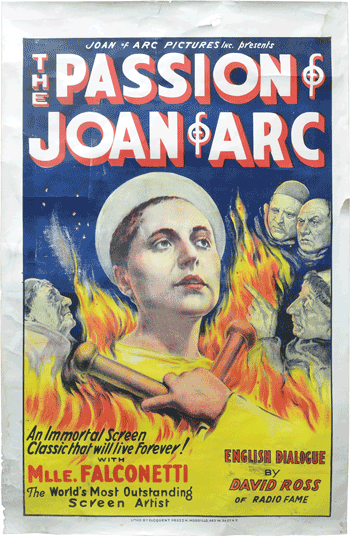 This poster is for the 1933 American reissue, with sound, of the 1928 silent French film. The film was shot on a huge concrete set modeled on medieval architecture in order to realistically portray the Rouen prison where Joan was held. The film is known for its cinematography and use of close-ups. Maria Falconetti starred as the tragic heroine. $1,300. This Otto Preminger-directed movie starred James Stewart, George C. Scott and Lee Remick. 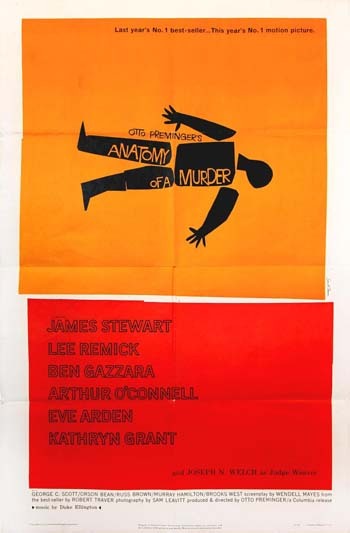 The item is worth a small fortune because it was designed by famous poster artist Saul Bass whose other creations include North by Northwest, Vertigo and Psycho. $4,000. "Do you know what the most frightening thing in the world is...?" This advance teaser poster for Michael Powell's controversial film is a rarity as it doesn't state the name of the film it promotes. The film, about a serial killer who films his female victims as they are dying, caused a storm when it was released. The reviews destroyed Powell's career in the UK. As with many controversial films, time has added perspective to its legacy. Critics have pointed out that Peeping Tom makes us think deeply about film-making and film-watching. Some have argued that this one of the best British films ever produced. $3,000. "Superwomen! Belted, buckled and booted." A pioneering but controversial American exploitation film directed by Russ Meyer where three go-go dancers embark on a violent spree of kidnapping and murder in the California desert. The movie, shot in black and white on a tiny budget, flopped at first but has since become a cult success. 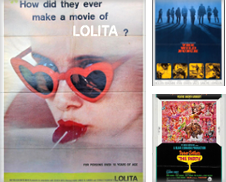 Its admirers include Quentin Tarantino. $2,500. The poster caption should have read "You're only supposed to blow the bloody doors off" but sadly it didn't. Michael Caine, Noel Coward and the Minis are majestic as this very English heist film set in Turin during a soccer match. This poster is for the US release of the film, and makes it appear nastier and sexier than it actually is. $1,355. "You don't assign him to murder cases. You just turn him loose." 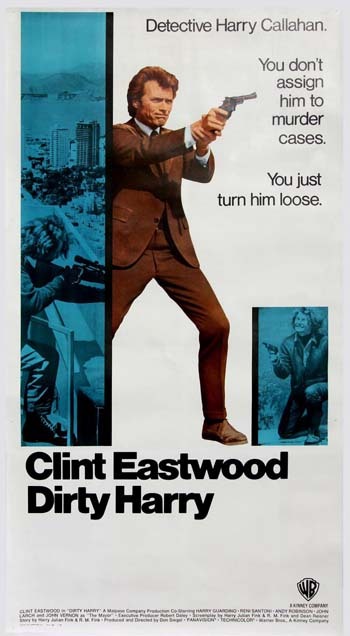 Clint Eastwood starred in this classic crime thriller about the San Francisco cop with little regard for the rules. Frank Sinatra was originally cast to play the starring role but injured his hand. The most famous and often misquoted line from this film is "You've got to ask yourself one question. Do I feel lucky? Well, do ya, punk?" $2,650. "Some of the highest prices realized in this market have been for the posters of classic titles such as Dracula (1931), Frankenstein (1931), The Black Cat (1934), Metropolis (1927) and The Phantom of the Opera (1924)," said specialist Hollywood memorabilia seller Walter Reuben, who offers 17 of the posters displayed above. 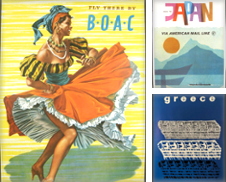 "Historians, museums and galleries now feature these elusive posters which are wonderful examples of major art movements including Art Nouveau, Art Deco and mid-century modern design." "The vintage original science fiction and monster movie posters from the 1950s are favorites because of their mid-century design and period colors. People remember these movies from their Saturday afternoon childhoods. 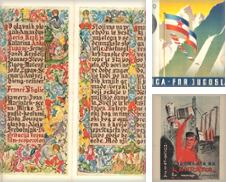 Today, these posters, which in the past collectors of this genre preferred to keep in their used conditions - (if one could not find a pristine copy) - are more readily available than their 1930s predecessors, but they too are becoming scarce and expensive." What's your favorite poster on this page?